Nike has developed a performance hijab for Muslim women athletes. The head covering, called the Nike Pro Hijab, has a single-layer pull-on design made from lightweight polyester in dark, neutral colors. Tiny holes in the fabric make it breathable while remaining opaque. 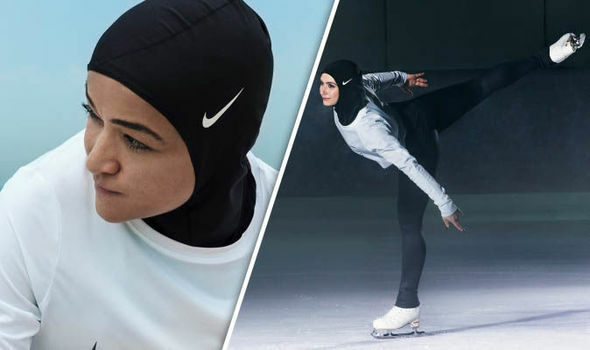 Nike says it began work on the hijab after Muslim athletes complained about wearing a traditional head scarf during competition. The design process took 13 months, and the final product will be ready to roll out in the company’s spring 2018 collection. News of the new product comes just weeks after Nike released a commercial in the Middle East featuring five female professionals from different parts of the Arab world pursuing their athletic dreams while a voice asks, “What will they say about you?” – a rhetorical question many young Arab women face if they step out of cultural and traditional norms. The video went viral with million of views on social media, prompting a debate over its message.